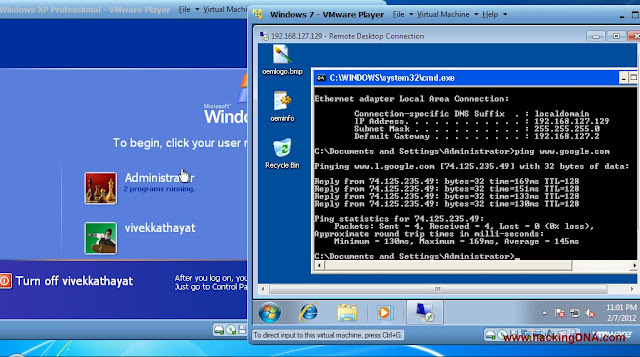 Which command is used for this ? How we can view others PC in our system through Remote Desktop ? A remote desktop is a default windows utility that is used to take any system on remote through ip address. 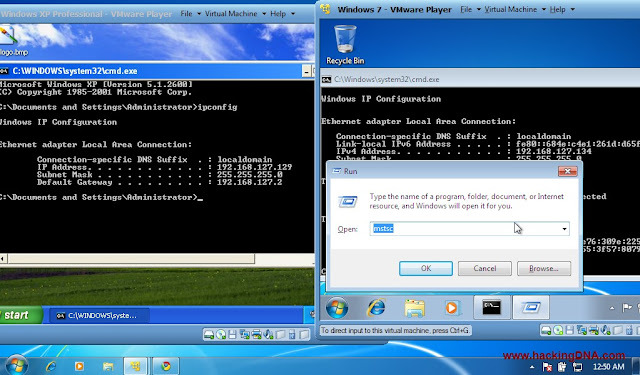 Step1 : Press Ctrl + r > write mstsc and click OK Button. 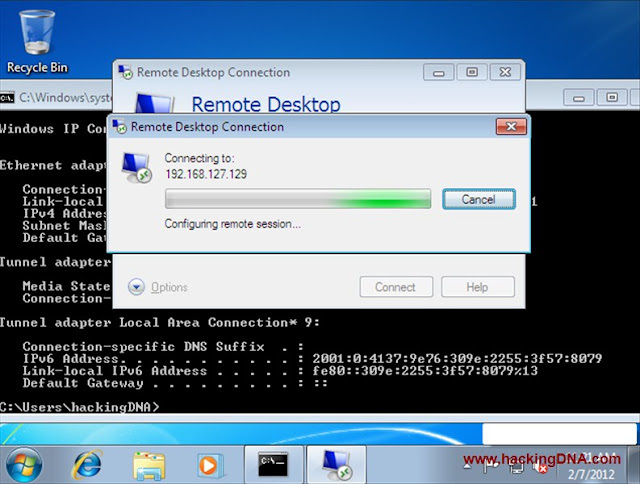 Step 2: As you press enter Remote Desktop Connection Utility will open Now write the Ip address of target computer which you want to take on a Remote . Here I want to take this Ip 192.168.127.129 on Remote in my windows 7 . 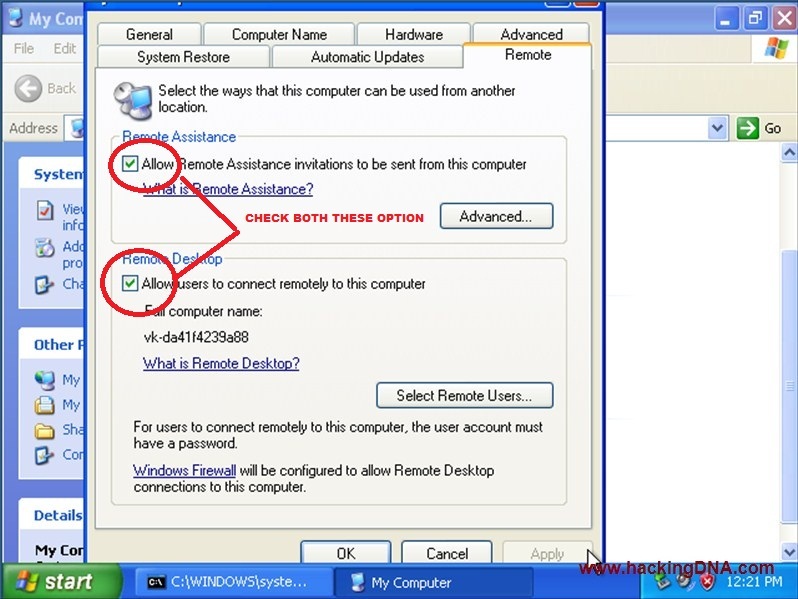 Click Connect button. 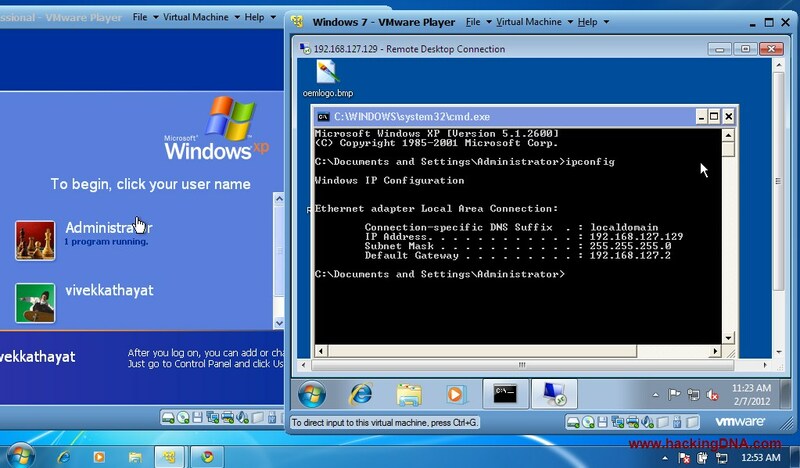 This image shows that Remote Desktop Connection Utility is Connecting to 192.168.127.129 address. 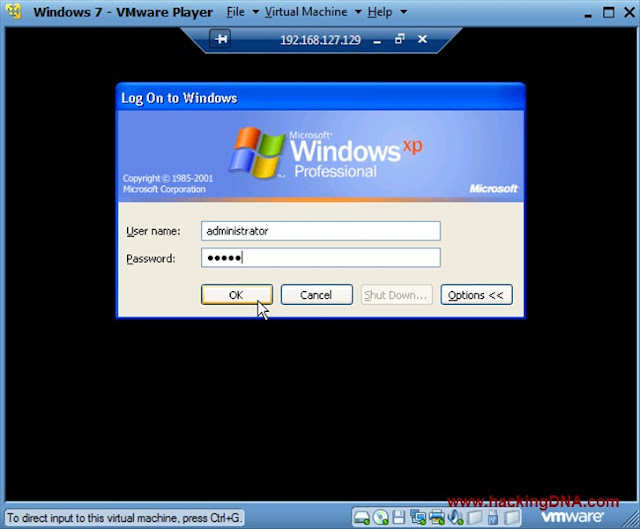 Step 3: Xp Login Window comes now . Write your account Username and Password and Press OK . 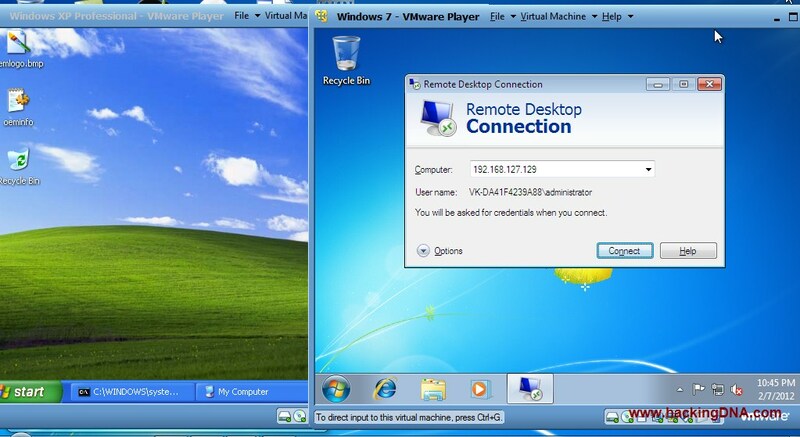 Here you can see that we successfully take Windows Xp (192.168.127.129) on Remote in Windows 7 . 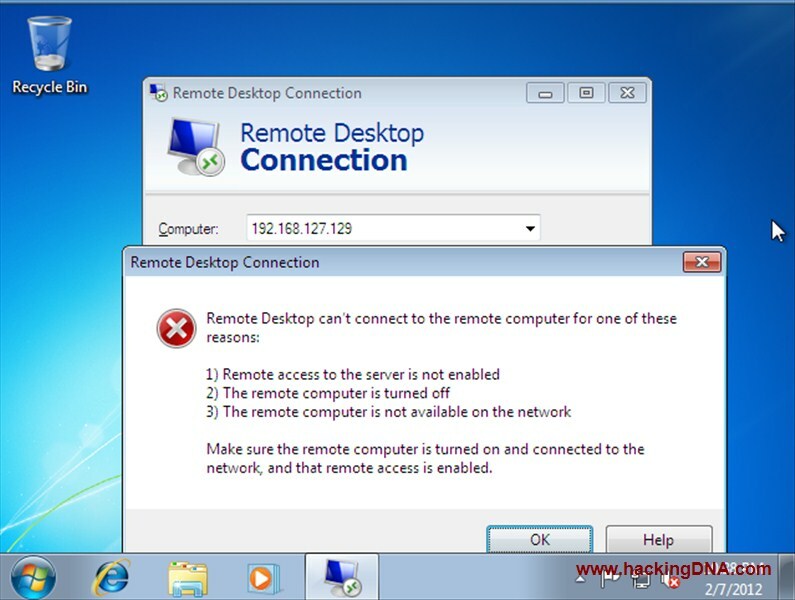 Remote access to the server is not enabled. 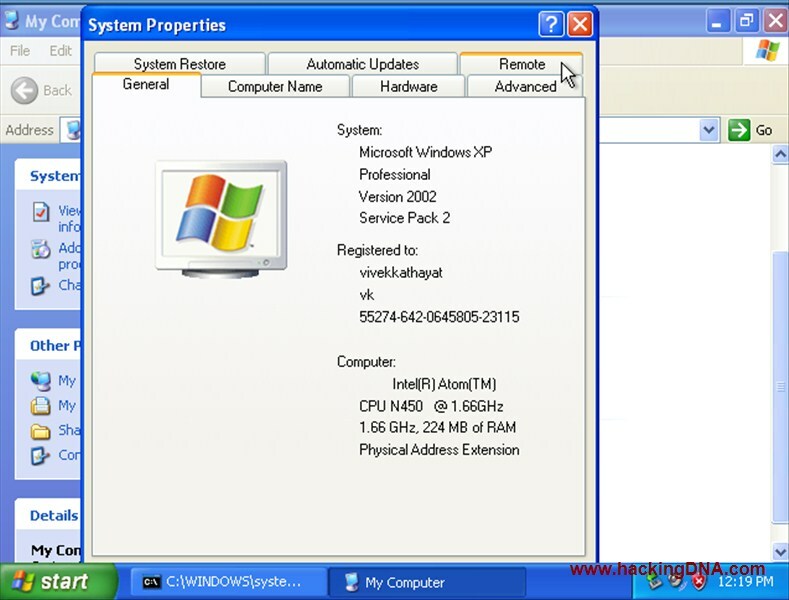 To resolve this issue , you have to enable the remote acccess on the target system . 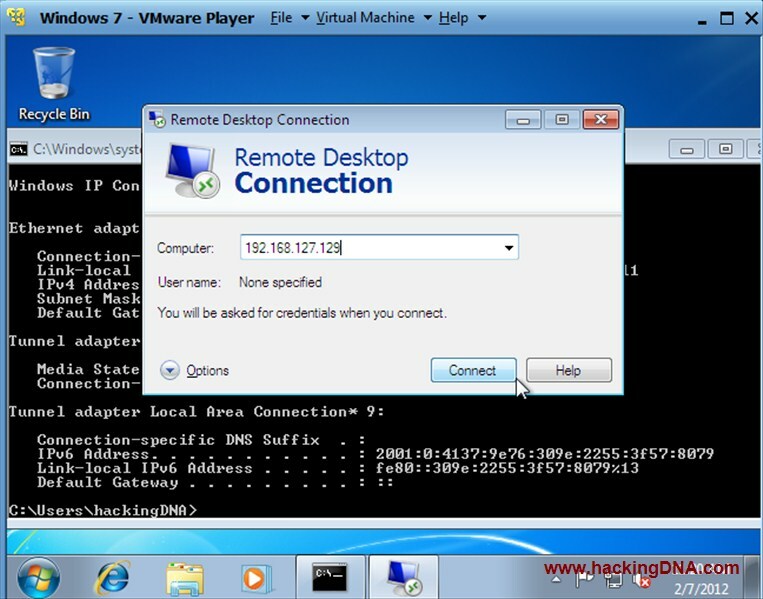 Allow users to connect on the remotely on the computer . Click on Apply and OK .